If you visit Brussels, Belgium, you should probably drink a Belgian beer and eat a Belgian Waffle. 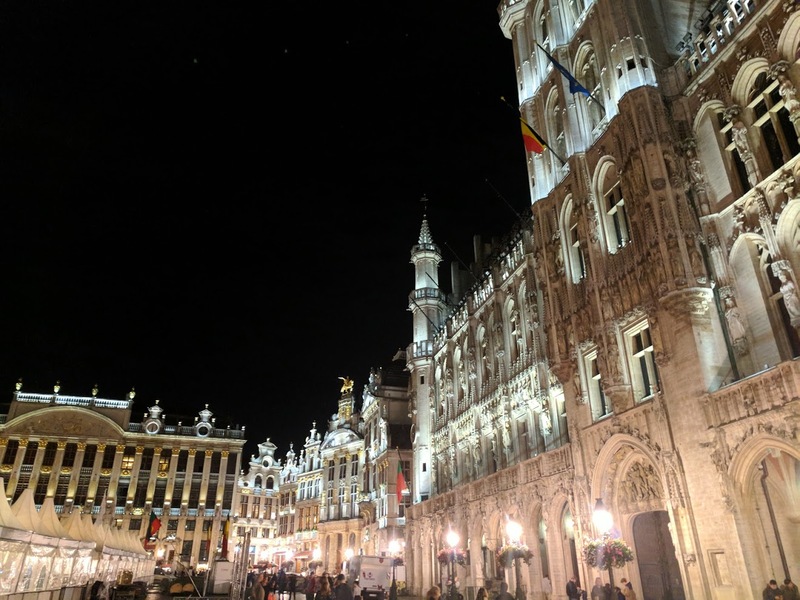 Finding waffles in Brussels can potentially be a bit harder than you’d think (especially after breakfast time), but if you find Rue De l’Etuve, you will find Belgian Waffle Mecca, and it’s easy to get here when you’re wandering the streets around The Grand Place. 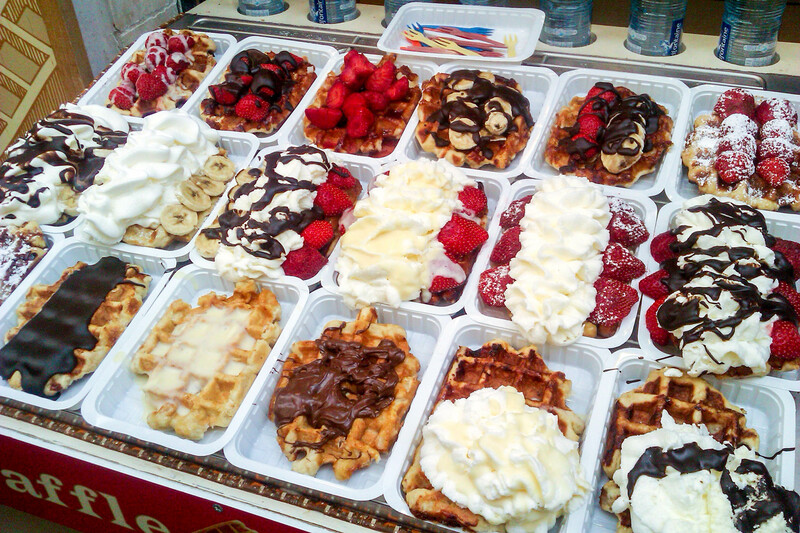 On this street, there are several shops selling waffles with any number of topping combinations. Chocolate, Nutella, caramel, fruit, nuts, sprinkles, whipped cream, ice cream… it’s all possible here. The best part? They’re pretty cheap! So many choices… so much sugar… and so tasty! In the evening, while walking to dinner, we wandered passed the waffle shops on Rue De l’Etuve. All the shops had their signs out front advertising waffles for one Euro. After dinner, we wanted something sweet and decided to head back and get a waffle to share. All the shops had now lowered their price to just .60 cents. 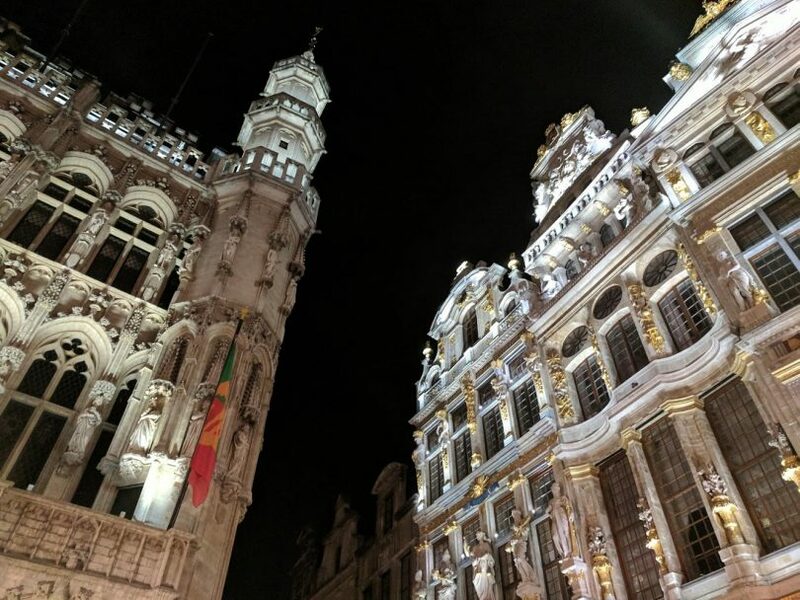 The Grand Place at night is pretty magical, and worth a visit even if you don’t get a waffle! Granted, .60 cents is the get-you-in-the-door-price for just a plain ol’ waffle. You’ll be paying more for toppings. A Belgian waffle with just Nutella ran us 2€ and was plenty for two of us to share. Pro tip: Rue De L’Etuve is right next to Mannekin Pis. So why not grab a waffle and go watch a small statue of a boy having a wee?